Christy and Joe Davenport can’t believe their luck. They’ve managed to buy a house in the sought-after Lime Park Road. It is another thing that buying the house might mean that they would have to live on milk and bread, but it is their dream home, their ‘forever’ home. Just the perfect place to raise their yet-to-be-born kids. What makes it even better is that the previous owners had renovated it to such high standards that Christy and Joe could just move in. The house is in such a wonderful condition that they are amazed that the previous owners left so quickly. Why would someone sell their house and love away right after they had renovated it to such high standards? However, something isn’t quite right. Frosty neighbours, and some rather weird conversations, leads Christy to deduce that something had happened on Lime Park Road which made Frasers leave so suddenly. Nobody seems to know where they went, and nobody seems willing to tell her what happened. All she knows is that everybody seemed to love Amber, and yet, nobody would say much more than that. 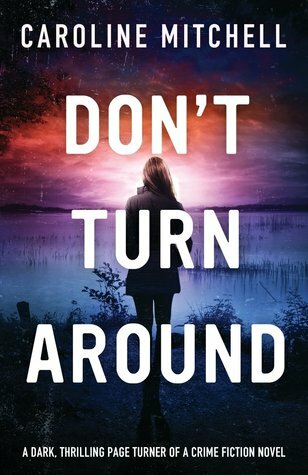 Something had gone terribly wrong and Christy knows she has to find out. It is just too intriguing for her to not find out. Of course, it doesn’t help that she has lost her job and has plenty of time on her hands to go digging. The story is told from Christy and Amber’s point of view. As we read Christy’s confusion , we read Amber’s time at Lime Park. I loved the way the story is made to progress. You, as a reader, know that tiny bit more that Christy and it is interesting to read how the events unfolded. This was one of the few books where there was something unknown which I hadn’t managed to guess. A book I thoroughly enjoyed. I loved the way the author created the characters. Amber for instance, sounds amazing at the start and through the story, you see layers being peeled off to reveal the true Amber. Christy, is just a regular, normal person. A person who comes across as quite dull and boring, in comparison to her glamorous and exciting predecessor. Christy’s curiosity is so understandable, and so real. I can quite imagine myself in her situation, wondering and obsessing about Amber, especially when there are little clues littered about. Although I have to say, I would hate to live in a house which is so dominated by my predecessor, where people still refer to the house as ‘Amber’s house’ despite the fact that Amber has sold and left the place months ago. That I guess is the power of the character, who stays on, in people’s minds. An interesting, and quite a different story, with a little unknown until the very end. A book I would definitely recommend. A 4/5 read for me. A great book for a quick, pacy and intriguing read. This is the first book that I’ve read of this author, and I know it wouldn’t be the last. Thank you Netgalley and the publishers, Penguin UK – Michael Joseph for the ARC of this book. Louise Candlish is a bestselling author of nine novels, including two 2013 releases, The Disappearance of Emily Marr (a moody emotional mystery) and The Island Hideaway (an intense shot of Sicilian sunshine). What would you do if you picked up a book and realised as you read that it was your story? What if, not only was it your story, it was also a part of your life that you had never told anyone? Something that no one knew. That was exactly what happened to documentary maker Catherine. Catherine had been living a charmed life. Successful in her career, a loving husband, only her not so successful son being the slight blip in her life. She chances upon a book and as she reads, realises to her horror that it was telling her story. A part of her life that was a deeply buried secret, an explosive secret which could rip apart her life. An incident from years ago that she had tried hard to forget. The standard disclaimer about any resemblance to persons dead or alive is struck off, in red. Clearly some one cares enough to do this to her, some one who is out to get her. Why? How? And why now? So many years after the incident. You can only find out as you read the book. 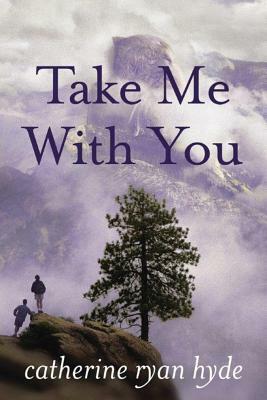 In parallel to Catherine’s story is the narrative of a lonely man, a retired teacher, mourning the death of his wife. 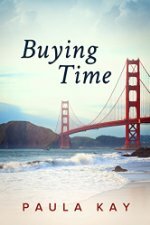 His life now revolves around clearing his wife’s clothes and living with her memories. What is the connection to Catherine and her horror? An absolute page turner that had me hooked right from the start. A psychological thriller, that has you psyched, it got to me. I felt Catherine’s fear. The feeling that every move of hers was being watched, someone was waiting to pounce, just waiting for the right time. Perhaps waiting to push Catherine over the brink? Catherine transforms from the confident woman that she was, to a shell of her former self. A worried, scared woman, always looking over her shoulder for her stalker. Who was this and why did they care so much? What did Catherine do? What is this big secret, that she is hiding ? The characters are relatable, real. I wish I could say more, but that would kill the book for you. It is such a powerful, fascinating book. The author reels you in, builds up the story, builds up the tension so very masterfully. A brilliant book. 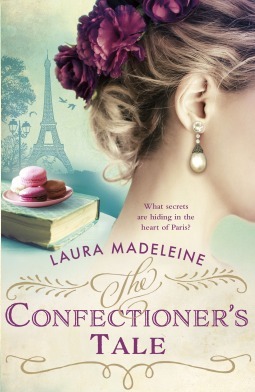 A 4/5 read, one I would definitely recommend wholeheartedly. Renée Knight worked for the BBC directing arts documentaries before turning to writing. She has had TV and film scripts commissioned by the BBC, Channel Four and Capital Films. In April 2013 she graduated from the Faber Academy ‘Writing a Novel’ course. She lives in London with her husband and two children. This week, for a change, the books weren’t added via Netgalley. I have BookBub to thank instead. 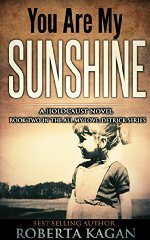 You Are My Sunshine,” is the sequel to “All My Love, Detrick,” this bestselling novel is set during the holocaust. When Helga Haswell becomes pregnant by a married SS officer who abandons her, she finds herself alone and desperate. She is afraid to tell her parents that she is pregnant out of wedlock, so her doctor suggests that Helga check into Heinrich Himmler’s home for the Lebensborn. This is a program, he explains, that has been instituted by the Nazi’s to create perfect Aryan babies. Since Helga is of pure German blood and the child’s father is an SS officer, she will be accepted, the doctor explains. Her child will have a good life because adoption is available only to the finest of Hitler’s Elite. Not only this, the doctor says but during her pregnancy, Helga will have the finest food and medical care available. And, instead of a life of shame, she will be honored for her efforts in producing a perfect Aryan child for the new world that Hitler is in the process of creating. Then after the baby is born, the Lebensborn will take the child and assume all future responsibilities releasing Helga to live her life without the burden of a fatherless offspring. In her desperation, all of this sounded perfect to Helga, that was of course before she felt life stir within her womb. However, by the time this occurred it was already too late. She had already moved into Steinhoring, home for the Lebensorn, and there was no possibility of turning back. The papers were signed. She could not escape. Hitler owned her unborn child. On a cold day in January Helga’s little girl came into the world. But instead of being sheltered by her mother’s arms, she was torn away by the nurses at the home for the Lebensborn and thrust into a treacherous world where the very people sworn to protect her were not what they seemed. The little girl was growing, and she was amongst some of the cruelest people on earth and subjected daily to the ideology of the Third Reich. But when Hitler became convinced that he was indestructible and, went to war on two fronts dividing his army, Germany began to fall. The Nazi’s became fearful as America entered the war joining Churchill against them in the west, while Stalin a formidable enemy with the brutal Russian winters on his side, ripped them apart in the east. And so, the tables turned on the Third Reich. The cruel Nazi’s, who believed they could not be defeated were about to swallow their pride and surrender at the feet of the Allies. The superior race would prove to be inferior after all. Hitler’s elite would run for cover, some would commit suicide; some would be tried in Nuremberg for crimes against humanity, while others would escape with their tails tucked between their legs and head for South America or other friendly ports. But God had other plans for Helga’s tiny innocent child, who had been born on that January morning. The child’s life was about to change in a very strange but significant way. Instead of becoming whom and what the Nazi’s had hoped to create, this child would be befriended and nurtured by the most unexpected people. I realised after buying this that it is a sequel to a previous book. I’m now wondering if I should order that and read that first. Have you read these books? If you have, what did you think of them? What have you been stacking your shelves with? My first attempt at Tuesday/First Chapter/Intros, hosted by Bibliophile by the Sea Every Tuesday, Diane at Bibliophile by the Sea posts the opening paragraph (sometime two) of a book she decided to read based on the opening. Another tag that I’ve picked up, inspired by Cleo. Feel free to grab the banner and play along. The Colour of Secrets by Lindsey Ashford. This book has sat on y virtual shelf for a while. I ended up picking it up and reading the first page, and it has me hooked. So, tell me, does this call out to you? August Shroeder is out for the summer. He is a burned out teacher, who has lost his passion for teaching, an alcoholic who has not touched alcohol since his 19-year-old son died. He is on his way to Yellowstone National Park, when his vehicle breaks down. In his carefully budgeted life, he doesn’t have much manoeuver for unexpected expenses like a broken down vehicle. As he gets hold of a mechanic to fix his RV, the only concern is that he shouldn’t be ripped off. Little does he realise that his life is about to change more than he could ever imagine. Before he knows it, he is touring around with two little boys, the mechanic’s sons. That summer turns out to be a summer that he or the boys would never forget. A summer they will cherish, a summer that gives them the hope that things are not all bleak, the summer which carries them through the rest of their lives, the summer that charted the course of the rest of their lives, in many ways. A beautifully written book. I struggle for words to describe it. A book about flawed characters, not bad, or evil, just flawed characters, desperate situations, just life, which is so difficult to predict, control or change and the way people react to life and the challenges it throws them. The aftermaths and consequences of decisions, lifestyles that have an everlasting impact on those around them. A story that will touch your soul. It isn’t a path breaking one or even a story with a great twist or anything, but it is a story that will definitely stay with me. August’s loneliness and heartbreak, the boys’ with their defiant self reliance, or their father with his stubborn refusal to see the things right in front of him. A story that makes you wish people would see how they let their lives go. I particularly loved the way it ended, the hope that it ended on. This book, in my opinion, is a perfect Book Club book. One which you could analyse from so many angles, one which gives you so much food for thought. It is the sort of book, I wished I could discuss with friends. Just the sort of book I like. I can’t believe that I hadn’t come across this author so far, but an author, I’m sure to be picking up more of. An inspiring, thought provoking, sensitive story. A story that will stay with me. A 4.5/5 read for me. Catherine Ryan Hyde is the author of about 28 published books such as The Language of Hoofbeats, Take Me With You , Where We Belong, Walk Me Home, Subway Dancer and Other Stories, When You Were Older, Don’t Let Me Go, When I Found You, Second Hand Heart, The Long, Steep Path: Everyday Inspiration From the Author of Pay It Forward, Always Chloe and Other Stories, and 365 Days of Gratitude: Photos from a Beautiful World.